Short Business Description: Everything about the Peruvian Horse, worldwide! 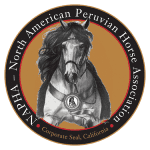 We are an international billingual (english/spanish) magazine covering the Peruvian Horse. We travel to events throughout the Americas.